A keen analysis of the social, political and economic determinants of Turkish politics with an exploration of the different dimensions of the republican model of Turkish citizenship, providing the reader with a comprehensive account of Turkish modernity and democracy. At the beginning of a new millennium, Turkey finds itself at a critical juncture in its democratic evolution. This momentous event has been precipitated by its desire to enter into the European Union and the recent financial crisis it has faced, both of which have fuelled the need for the creation of a strong, democratic Turkey. 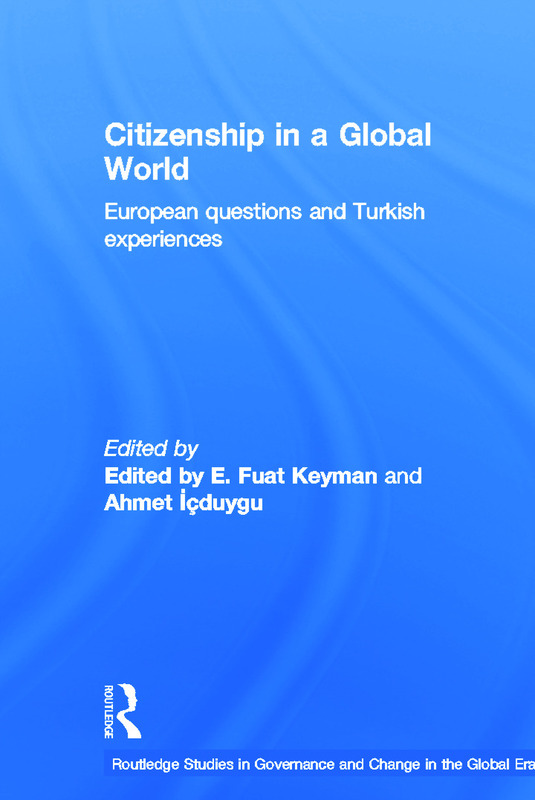 Consisting of a collection of innovative and influential essays by leading scholars, this book gives the reader an historical and sociological understanding of Turkey and adds a new dimension to the ongoing discussion surrounding global citizenship and global identity. E.Fuat Keyman is professor of International Relations at Koç University, Istanbul, Turkey and Ahmet Içduygu is associate professor of International relations at Koç University, Istanbul.